At North Shore and City Hypnotherapy Sydney, clients can rest assured that therapy will be conducted by a highly-skilled and experienced professional clinical hypnotherapist certified by industry organizations. In addition to being a Clinical/Professional Member of the following associations, Samantha is a Supervisor qualified to help others within the industry attain higher levels of expertise, based on her proven record of training and development, combined with her wealth of skills stemming from more than 18 years of experience. Samantha served as Treasurer and Membership Secretary of the Board of the Professional Hypnotherapists of Australia (PCHA) for several years, including running their Referral and Advisory Service. 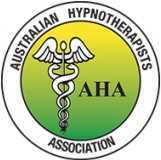 She was also an assistant to the Board of the Australian Hypnotherapists Association (AHA), in the Marketing division. * How can I choose a competent Hypnotherapist?